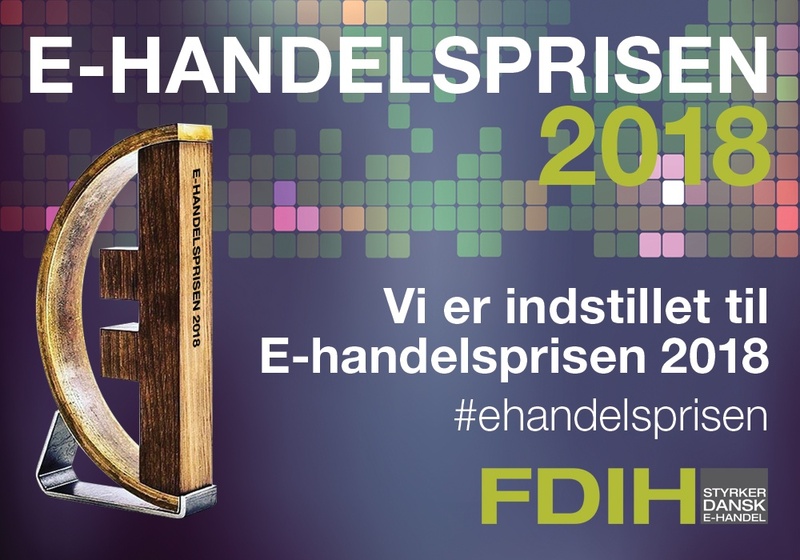 Here at WakeupData we are honored to have been nominated for a FDIH award for the second year running - this time in the 'Best E-commerce Tool' category. Last year's nomination saw WakeupData receive second place in the category 'Best e-commerce solution - web agency and other suppliers' for our work with Kaufmann. After thorough consultation and deliberation, the nomination committee for the have found the top five nominees for the various categories of 2018's Danish E-Commerce Award. On the 2nd of May all those companies who have been nominated will get the opportunity to present their cases to the decision panel. Afterwards, the panel will identify the top three in each category and this will be announced at the Danish E-Commerce Awards 2018 the 24th of May. Use the hashtag '#ehandelsprisen' to stay up-to-date and follow the build-up to the event. Here are the nominees. Last but not least on the list is WakeupData! Best B2C-company with online revenue over 50 million DKK.